There are four apartments per floor, with the two and three bedroom units sized around 55 sqm, 75 sqm, 80 sqm and 100 sqm. The 80 and 100 sqm unit types are south-facing and look directly towards the park, while the 55 and 75 sqm are north facing and do not have park views. One of the features is a rooftop entertaining deck for residents providing views over the park to the south and the Shinjuku business district in the distance. All apartments had sold out prior to completion with over 3,400 inquiries and 600 group visits to the sales showroom. In the first round of sales, all 47 apartments offered for sale received applications, with over 90 buyers vying for apartments and as many as 8 applications made on one unit. Lucky buyers were selected via a lottery-type system. The entire building had sold out by July 2016. Many of the buyers are said to be buy-to-occupiers rather than investors. 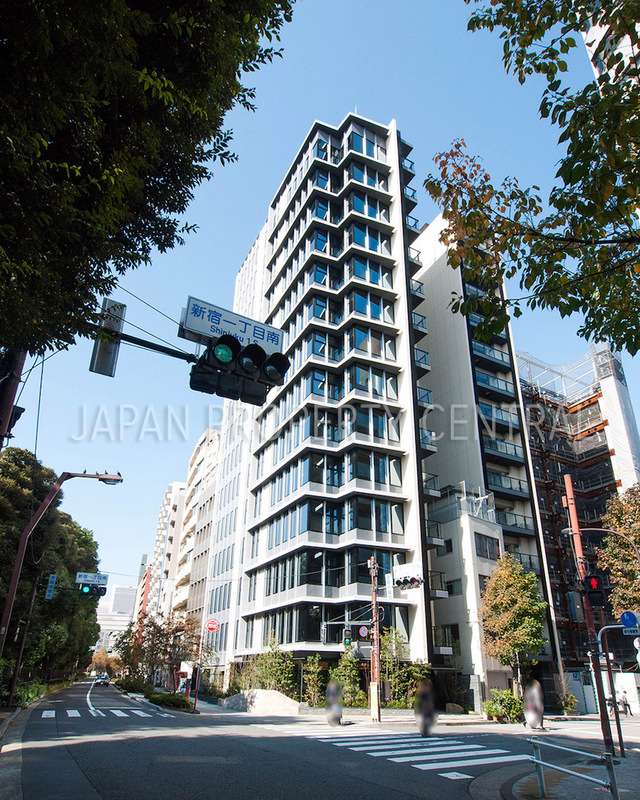 The property is less than a 1 minute walk to the entrance to Shinjuku Gyoenmae Station on the Marunouchi Line. Source: RePort, October 18, 2017.